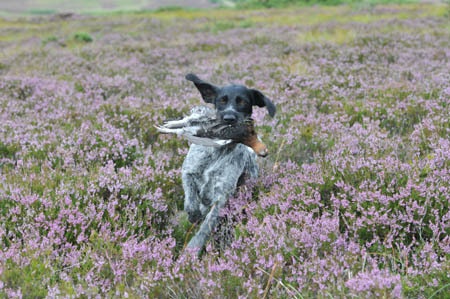 HPR stands for Hunt, Point and Retrieve. Dog breeds like German pointers, Vizslas, Brittanies and Weimeraners are all HPRs. When they are used as gun dogs, they should hunt the terrain and use their nose to find sitting birds. As the dog scents a bird sitting in the cover, it will stop just down-wind from the bird. This is when the dog is on point. The pointing is really just a refining of the dog’s natural stalking. During training, the handler teaches the dog to be steady on point and only flush the bird out when it is given the command to do so. When the dog is used for shooting, it all comes together when the dog is on point. 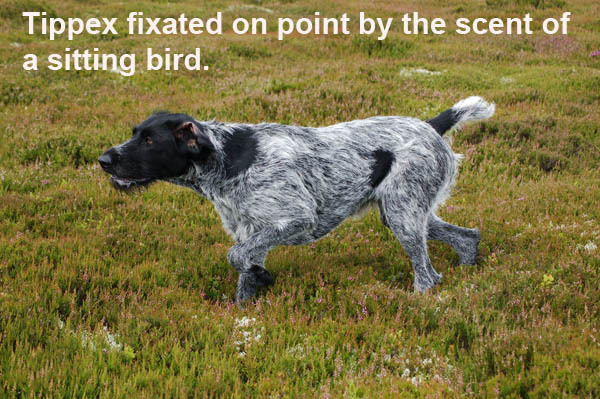 The person carrying the gun will position him or her self near the dog and give the dog the command to flush the bird out. The flush is also a form of “cultivated grab”. The dog is really aiming to get the bird, but through training the idea is for the dog to charge in just enough to get the bird in the air and then immediately sit down. As the bird lifts in the air, the gun should kill it cleanly and only then is the dog allowed to move. There are two good reasons why the dog MUST sit to the flush: so it does not get into the line of fire and get hurt and in order to concentrate on where the bird falls as this prepares for the dog’s final job, the retrieve. 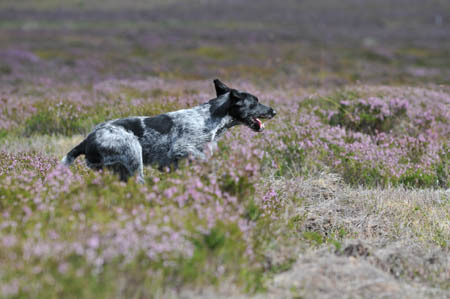 On the handler’s command, the dog should go straight out, find the bird and bring it back to hand. Many people call all this shooting “a blood bath”. Well, it is not how it is!! When HPRs are used on wild birds (as opposed to released), it is not easy and most of the birds get away. We can sometimes hunt for a whole day and take home perhaps five birds. 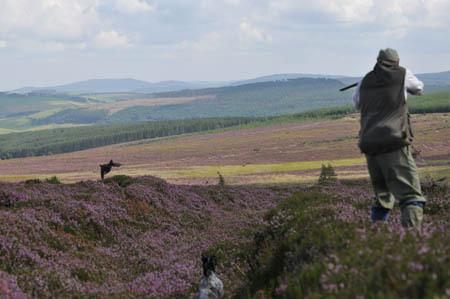 Especially at the end of the grouse season, in late September, you can hardly get anywhere near the birds. 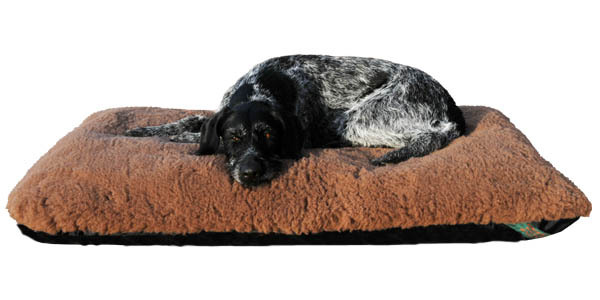 After a day’s hunting and working, a relaxing evening on a dog bed is essential. That’s how Tuffies came about. In the next many blogs to follow this, I will try and describe a year in a working HPRs life. It will mainly be Gollum, my German Wirehaired Pointer that will take centre stage.